A party bus needs to be equipped with contemporary amenities such as – a mini bar, a dancing stage, a small cinema, a refrigerator, etc. so that you and your guests don’t have to compromise on the fun and comfort part. Party buses are available in various sizes and styles, with every Toronto party bus model designed to fit a set number of passengers. 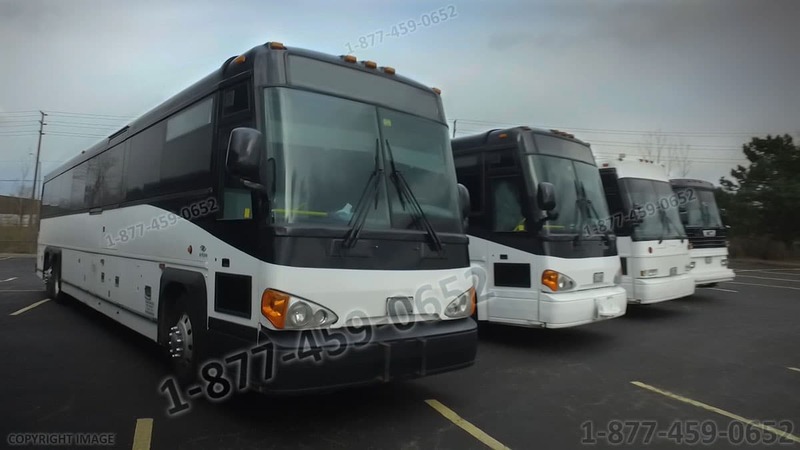 You would book a party bus according to the number of your guests, but it is quite a possibility that a few extra friends suddenly decide to join in on the last minute! If you try to fit more people than the number of people allowed, not only it can be a safety issue, but you could be fined for voiding your contract. So, always go for a party bus that has a room for a few more than your estimated maximum number. Parties go on for a long time. A party bus with restrooms has that extra convenience which will allow your party to keep rolling with not having to stop. Also make sure that the bathrooms are neat, clean and maintained well. Parties are without any doubt, about worry-free time and chilling without any tension. But that doesn’t give you the leeway to neglect things related to your safety and security. You need to be aware of the traffic rules and assured about the driver following them. You can follow this link to know more about the do’s and dont’s on a Party Bus Rental in Toronto. Although the venue is never a contemplation point when it comes to party buses, the plan is essential. You need to have complete knowledge about the pick-up spot, drop-off spot and the route to be followed. Also, make sure that the driver has an entire grasp about that. Check with all set-up destinations in advance for any dress code or other specifications and be sure to convey this to your guests. Good music can do what nothing else can. Don’t compromise with sound quality. Make sure that the party bus has all the modern high –end sound equipment. Check in advance about the kind of music available for playing. You can bring in your favorite music in some portable storage device to enjoy in your sweet niche. Do not miss your favorite party songs. 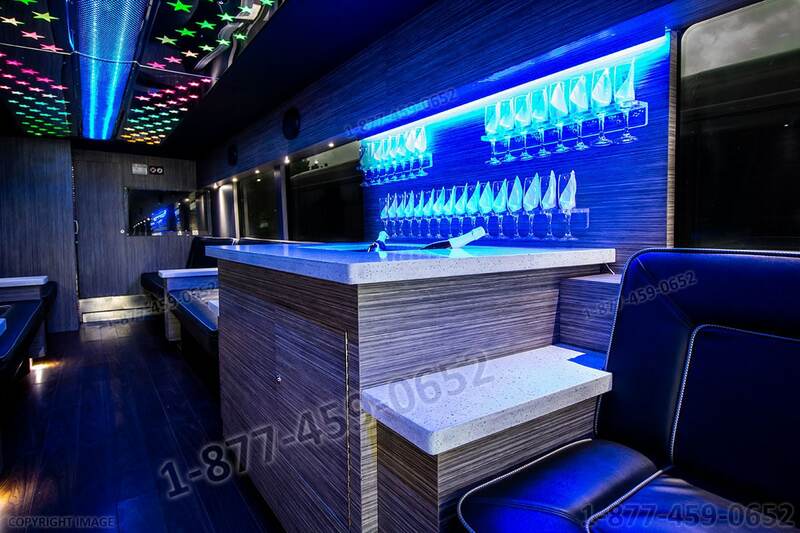 While renting a party bus in Toronto check with the party bus service about its policies about the provision of food and beverages. The Toronto party bus rental company may also provide you with supplies such as napkins, paper plates, cups, etc. Also, inquire about the clean-up policies if any. Make sure to equip your party bus with group favorites. From cookies to chips to delicious meal, it all needs to be there. No one can have fun with empty tummies of course. Make sure to keep the food transport friendly, also mix it up for everyone to enjoy. Rule out any dishes that requires eating with knives and forks. If you don’t want to take the responsibility of perfect refreshments to offer you can always look up to a catering company to do it for you. All you need to do is choose a quality cook and tell him about the ideas you had in mind, and the company will take care of the rest. Is Alcohol allowed on a Party Bus? Again check with your party bus company in Toronto about what they allow and what they don’t. Not every bus service will permit alcohol on it. If there are minors on the bus, you cannot be served with alcoholic drinks at all. That’s why you need to be aware of all the details beforehand. In some Countries, you may need a liquor license to serve alcohol in a party bus, so please check if your party bus rental satisfies this criterion before you book. Also, find out if the company provides water or soft drinks. Keep your bus stocked with beverages for your guests. Make sure there is enough stock for everyone. Everyone won’t have the same taste, so it would be nice to have a selection. You can read this link for more information on alcoholic drinks and permits in Canada. Contemporary party buses have facilities like flat screen LCD and DVD player for movies. Take advantage of this facility and bring along your group’s favorite film and let the movie madness make your night! Getting to dress up in a fun costume for a themed party can add a touch of quirkiness and buzz to the occasion. Not just the costumes, get your bus too adorned as to align with your theme. Appoint someone as the head to manage everything. It would be convenient to have one person taking them in charge rather than split jobs out of coordination. Also, your guests would know who to talk to for any details or in case of any inconvenience. If you need any help or have any questions, feel free to contact us for Toronto party bus rental anytime!